WRITING A FEATURE ON HEALTH AND FITNESS? TALK TO THE EXPERTS IN GROUP EXERCISE. Here you’ll find all the latest press information from EMD UK; including press releases, previous articles and who to contact for quotes, statistics and expert comments. Whether you’re looking for industry statistics, case studies or expert comment, our marketing team is here to assist with any type of media enquiry or request. The latest news, information and what’s happening in the group exercise sector at your finger tips. With over 25 years experience in the sport and fitness industry, Ross has a strong commercial background and a passion for raising industry standards and increasing accessibility to group exercise opportunities. A graduate of Staffordshire University, Ross spent his early career with Cannons Health & Fitness (now Nuffield) as a General Manager before progressing to UK New Sites Manager. Ross was then offered a post as a Regional Director for Holmes Place Germany subsequently adding Austria to his portfolio in 2009 before being appointed Chief Operating Officer for Holmes Place Germany later that same year. 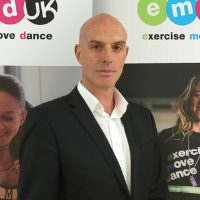 Ross moved back to the UK in 2015 for his current role as CEO of EMD UK where he subsequently initiated a market review and repositioning of EMDP, a successful rebrand to EMD UK and founded FitgroupUK; an organisation dedicated to bringing together the wider group exercise industry to collaborate on key issues facing the sector. Ross is often quoted in the media due to his broad range of expertise. Topics include: tackling inactivity in the UK, group exercise insight and various aspects of the health and fitness sector. Emma has over 20 years experience in the sport and fitness industry. Emma has always had a passion for fitness, having graduated from Brighton University with a BSc Hons degree in Sport Science. Starting her career as gym instructor and personal trainer, Emma soon moved in to management and then across into Sports Development. With a wealth of knowledge behind her, Emma joined EMD UK in 2012 as Development Director and was promoted to Chief Operating Officer in 2015. 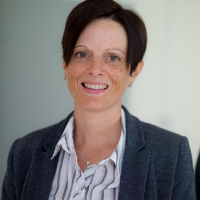 As COO, Emma is responsible for the overall operation of EMD UK and specifically for the achievement of targets set by Sport England. Emma is a Group Ex specialist and her main areas of expertise include skills, qualifications, instructor support and quality assurance. Leading by example and keeping in touch with the real issues, Emma is also a group ex instructor and regularly teaches classes, helping people get fit and keep active. Outside of work, Emma volunteers for a dog rescue and is a keen horse rider. Her past achievements include completing the London Marathon twice and several Triathlon events. Gillian’s msision is for every group fitness class to be an experience where participants have fun, connect with others and learn something to take out of the studio and into daily life. She has worked in the fitness industry for 18 years, starting as a volunteer at her local YMCA gym and more recently holding the responsibility of Head of Group Exercise at Virgin Active UK, a position she held for 7 years. Notable achievements include growing participation to classes at VA by 37%, a Guinness World Record in 2012 for the most amount of people static cycling at the same time and most importantly, lots of smiles from participants attending classes. 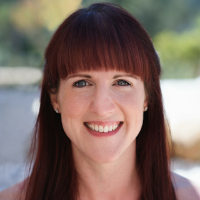 A graduate of dance and theatre performance school, Bird College, Gillian presents at events such as Move It, Fitness Fiesta and YogaFit retreats and currently delivers Yoga, Pilates and fitness classes in London. She is currently Head of Instructor development at EMD UK.